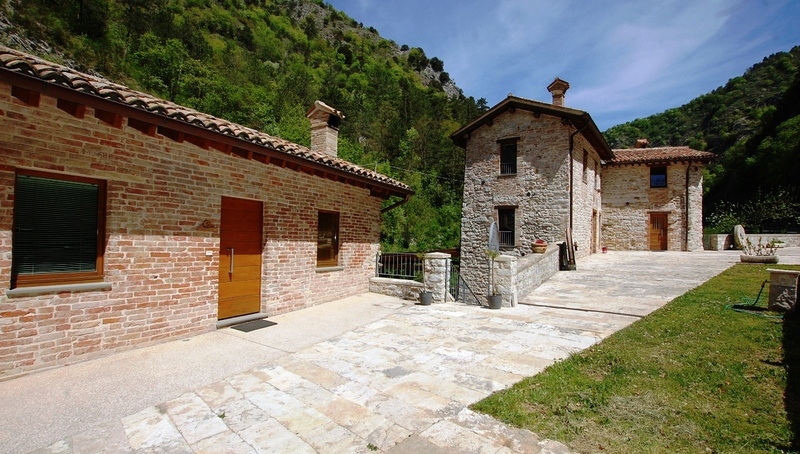 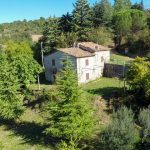 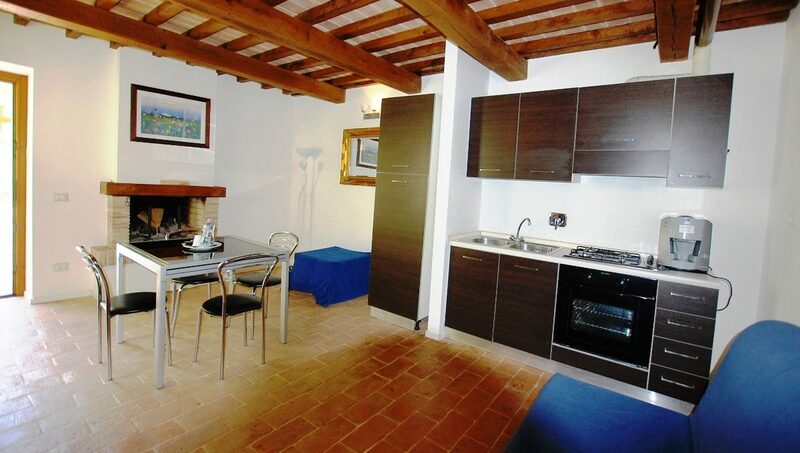 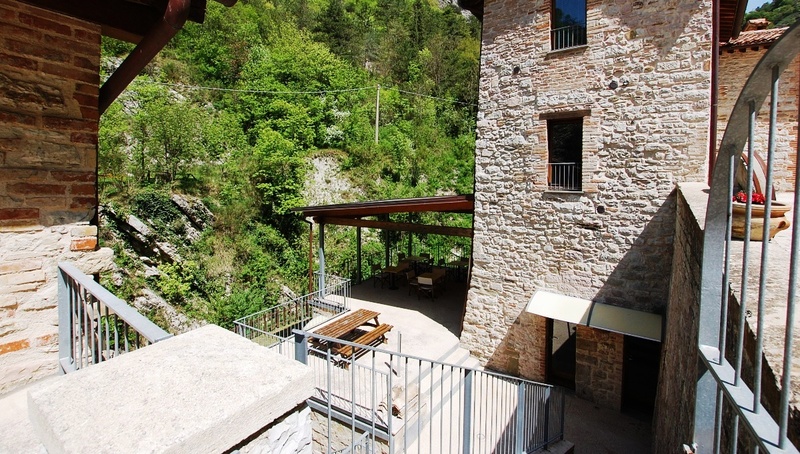 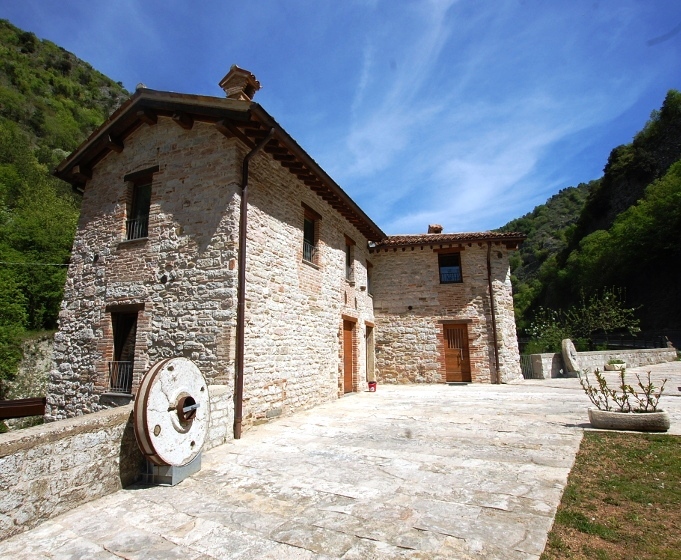 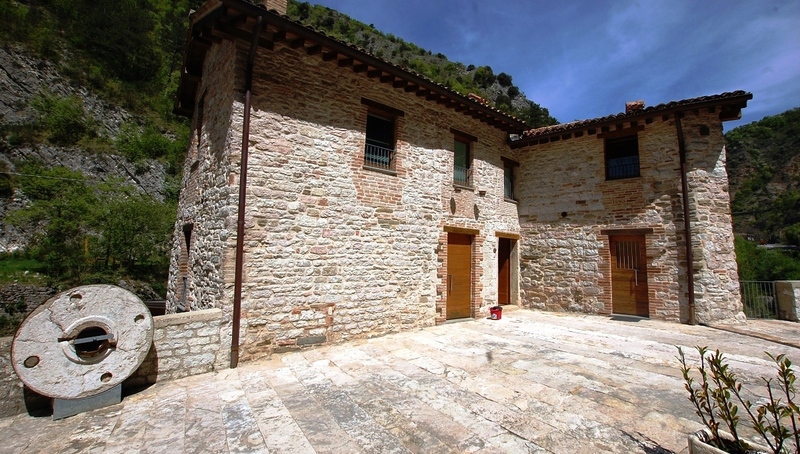 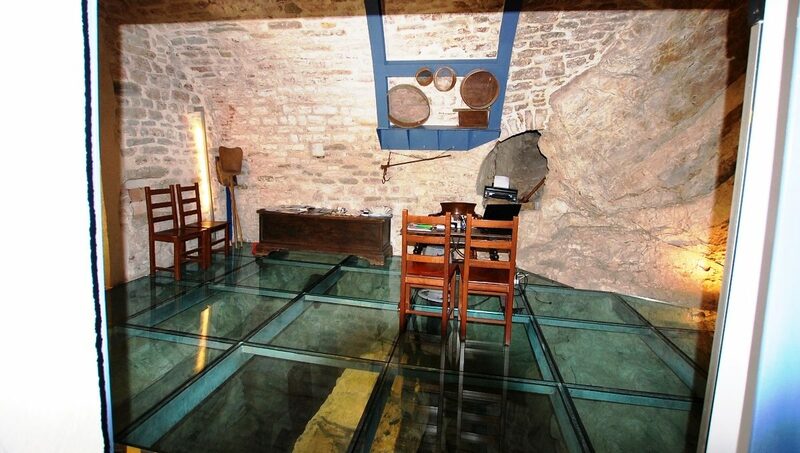 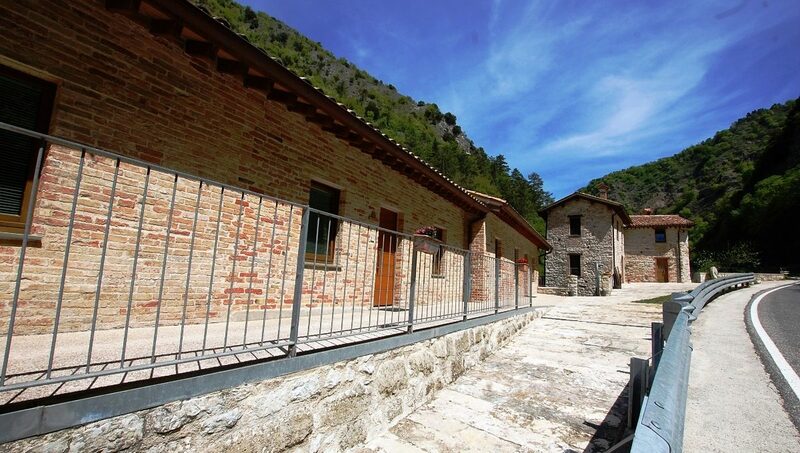 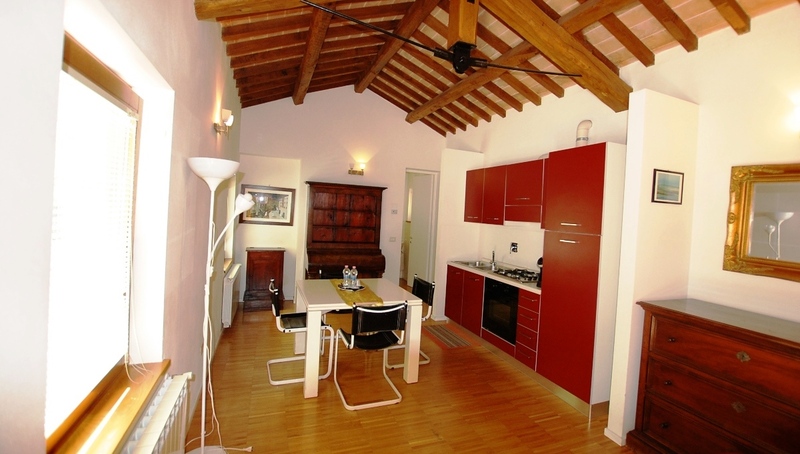 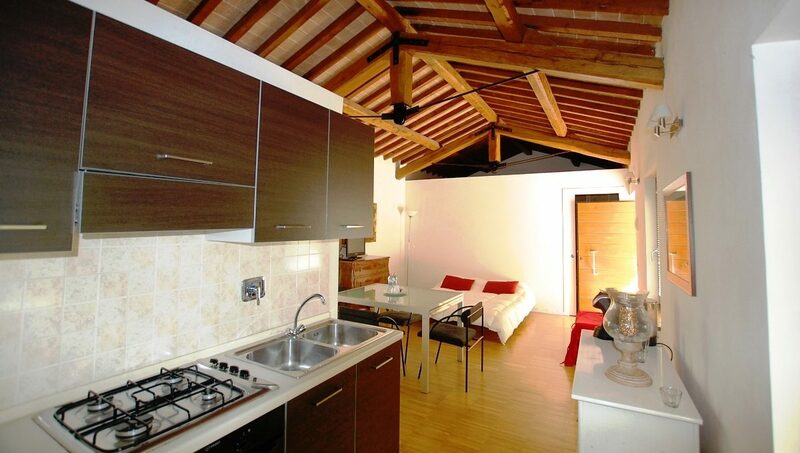 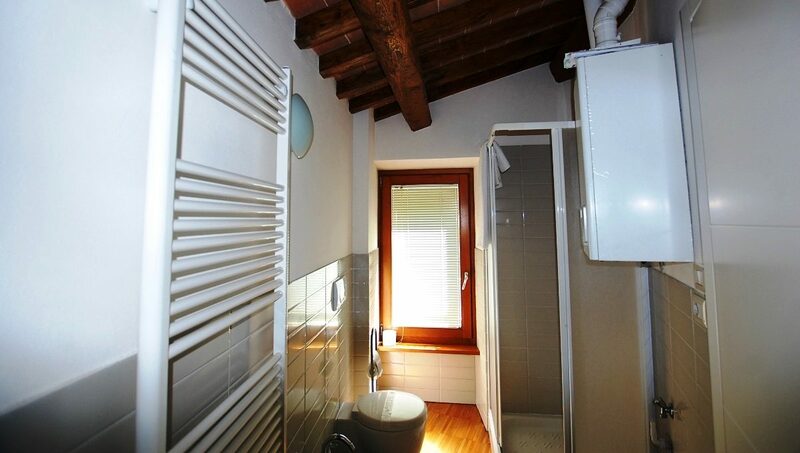 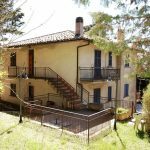 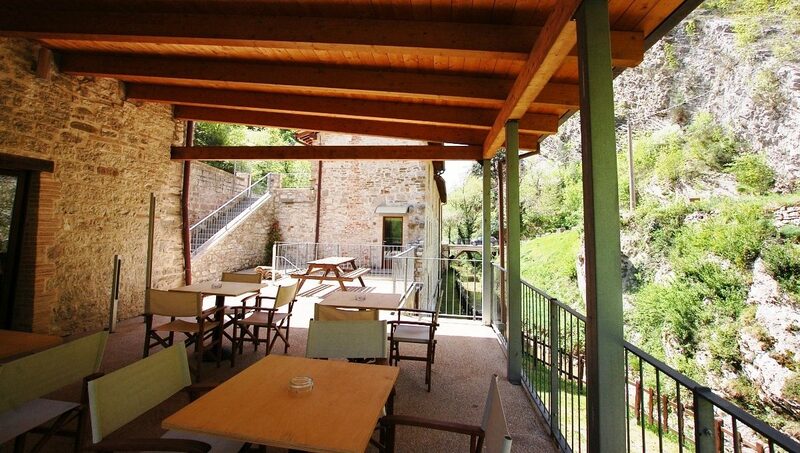 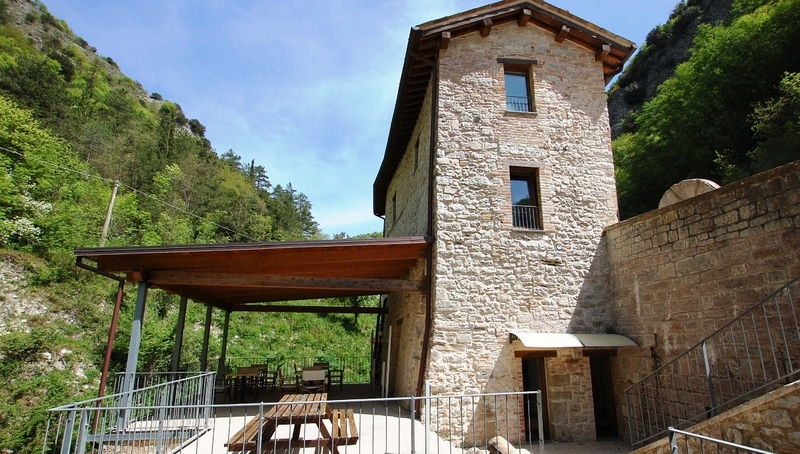 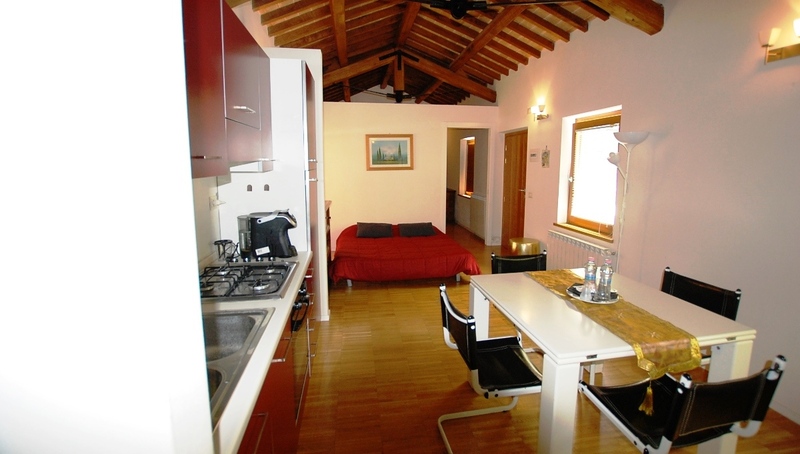 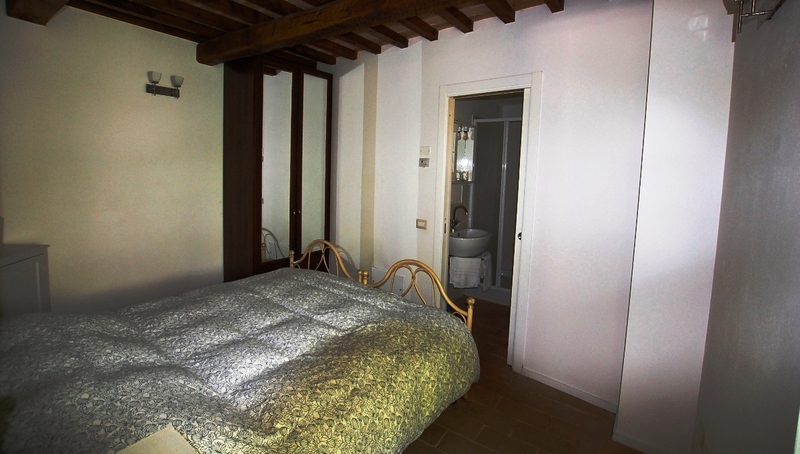 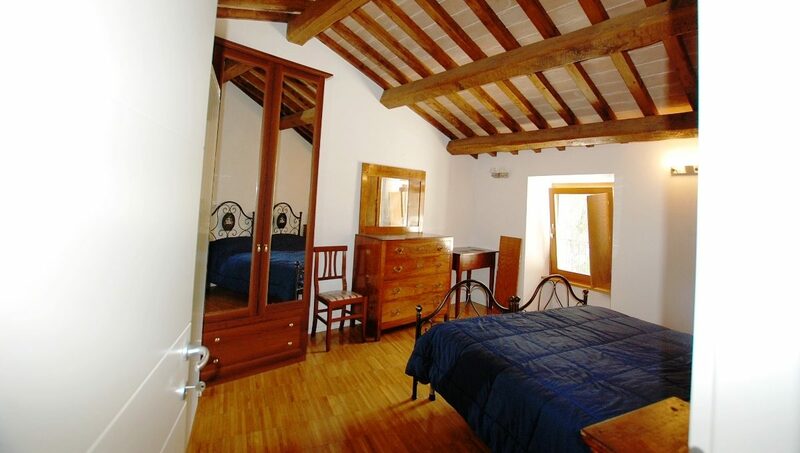 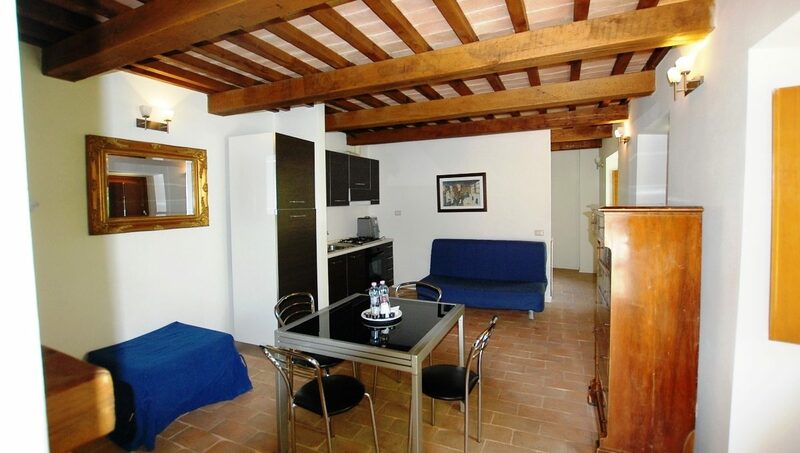 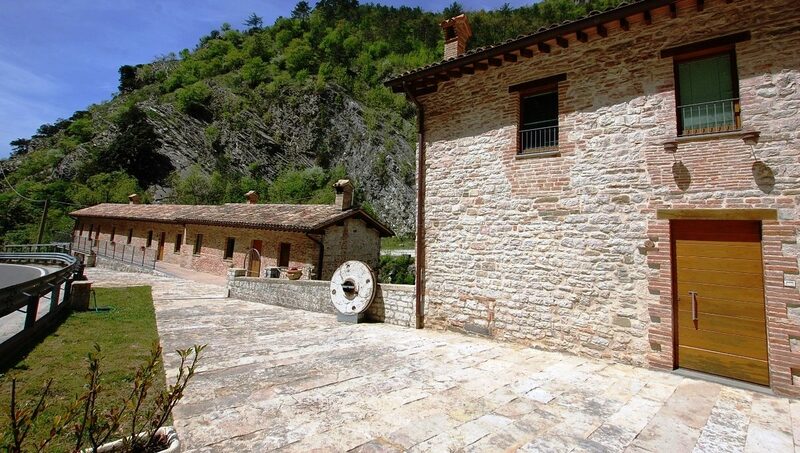 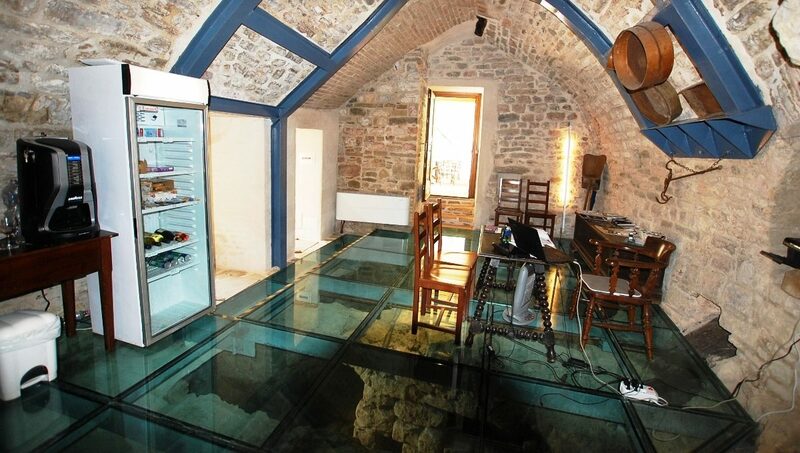 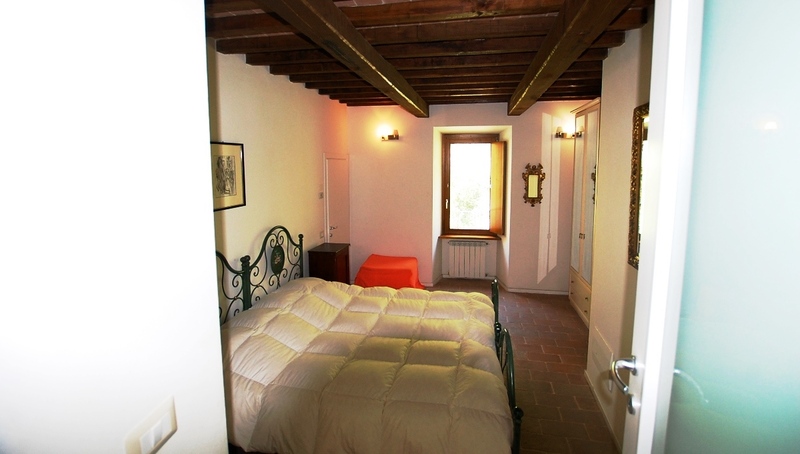 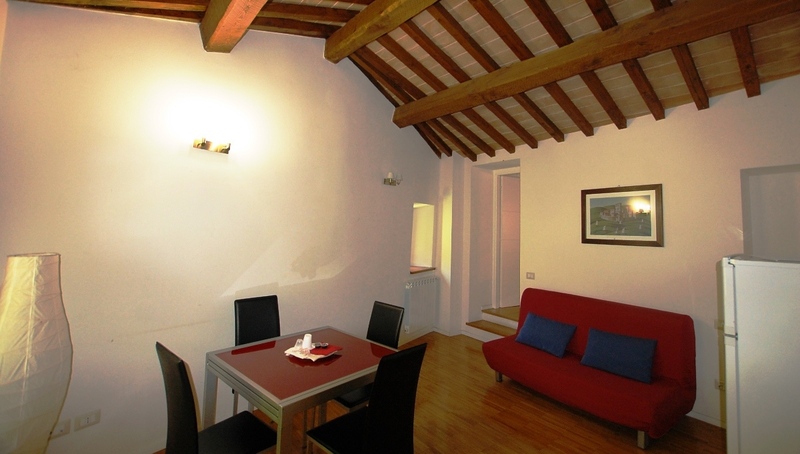 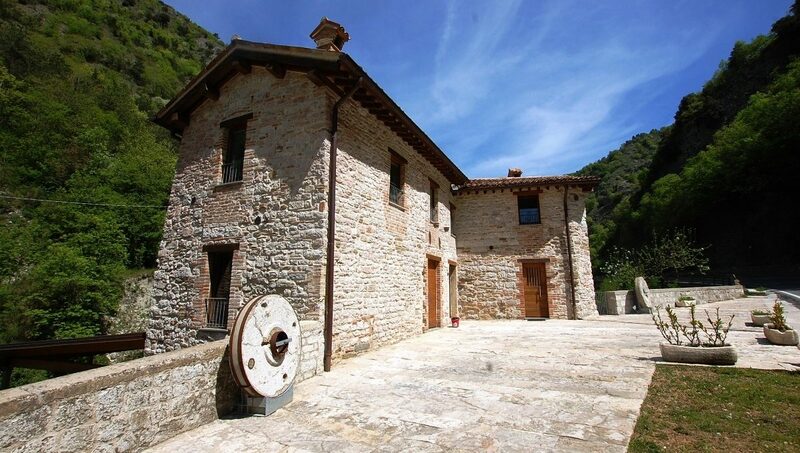 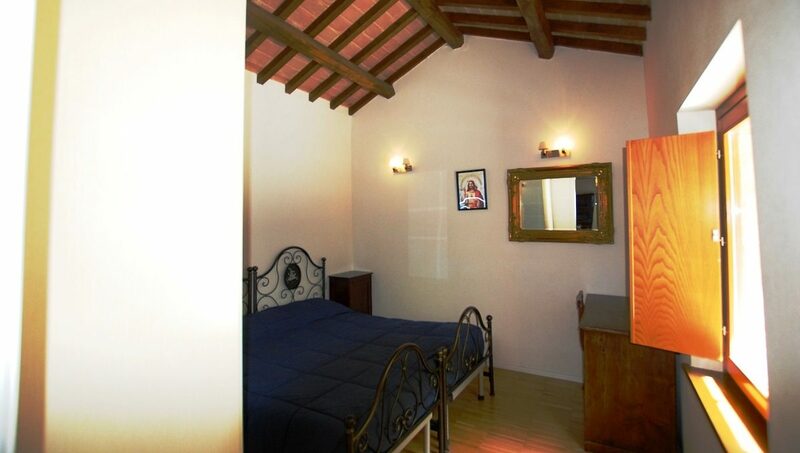 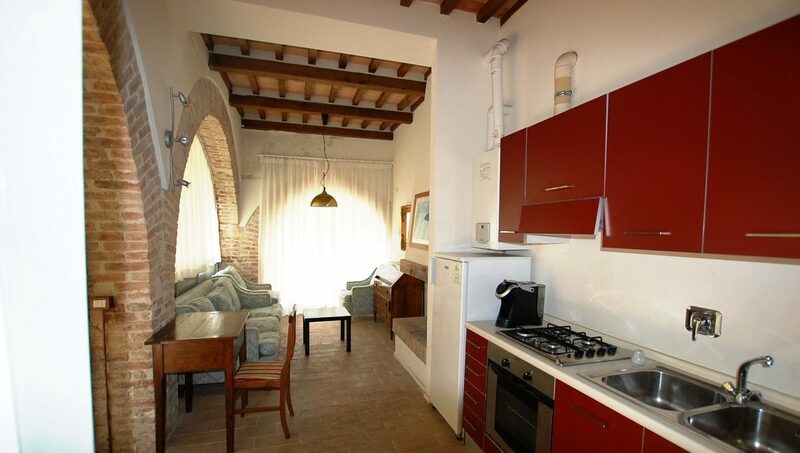 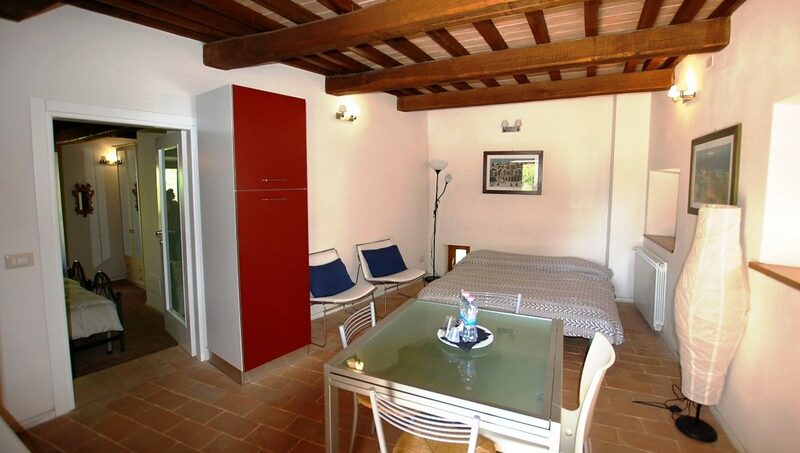 In the immediate vicinity of the historic center of Gubbio a beautiful water mill has been skilfully restored and furnished, intended as a tourist-accommodation residence. 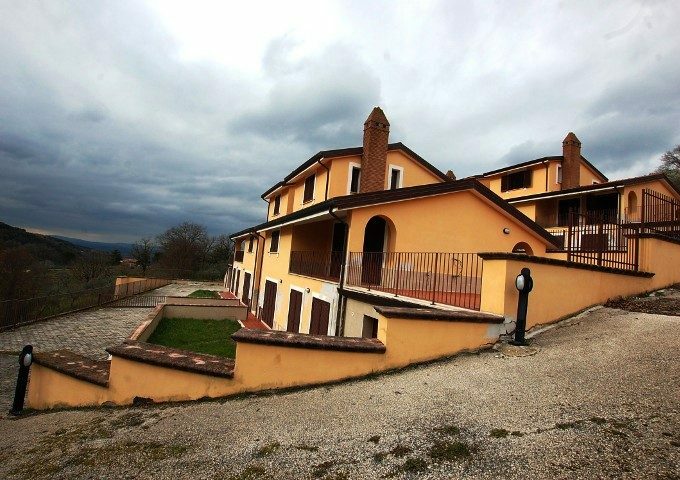 Six members, with available rooms for common use, make up the structure, isolated but close to the city, easily reached on foot, along the Provincial road, equipped with comfortable and safe sidewalks. 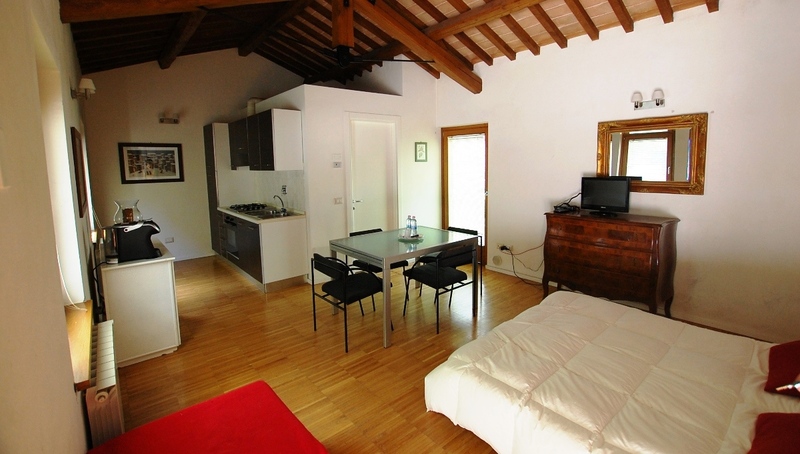 The total area of ​​700 square meters with apartments ranging from 40 square meters to 80 square meters, all with private entrance and bathroom terraces, all have been furnished with care and attention. 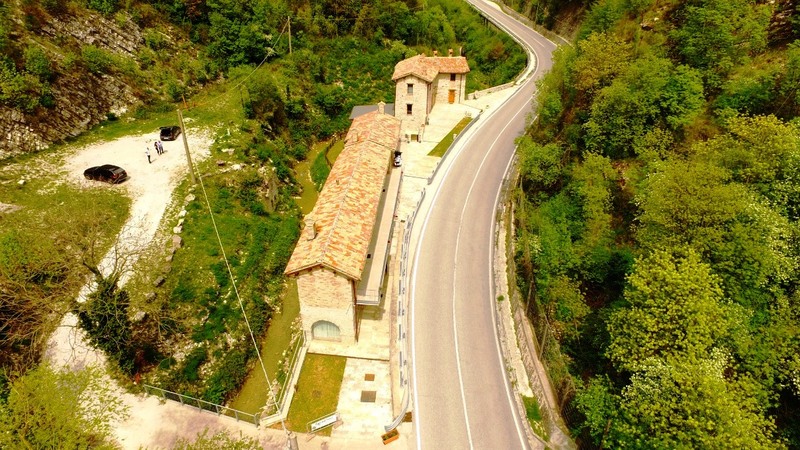 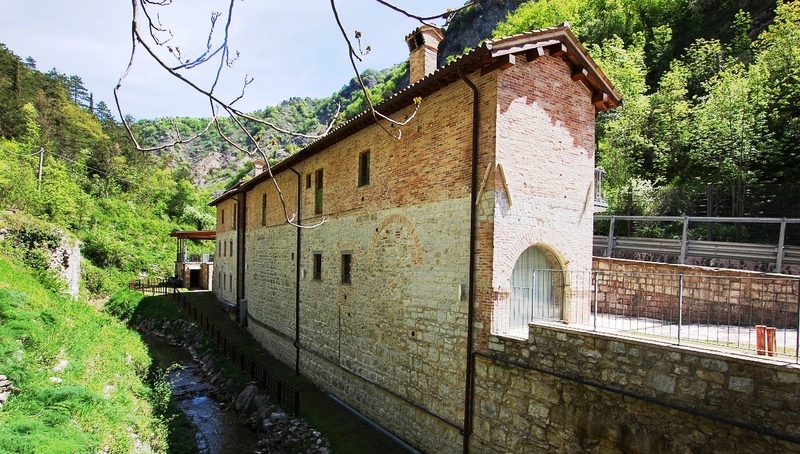 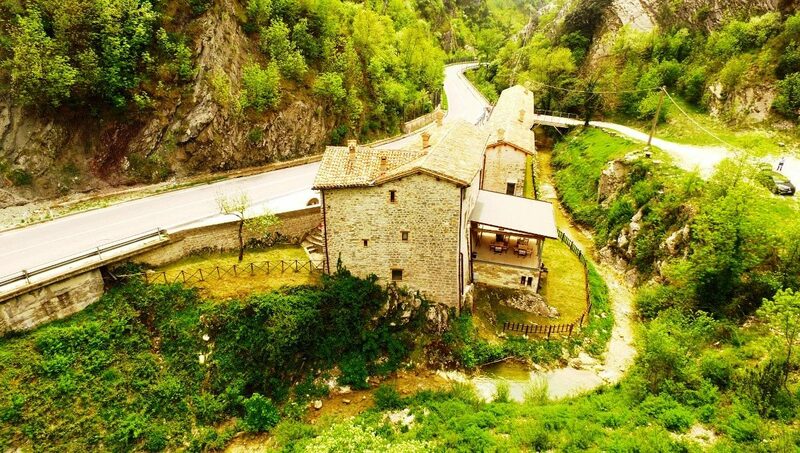 The “Molino delle Monache di San Benedetto” is located in Via Giove Pennino, along the Camignano stream, in 2005 it was included by the Municipality of Gubbio in the list of buildings of historical-architectural and environmental value considered cultural heritage. 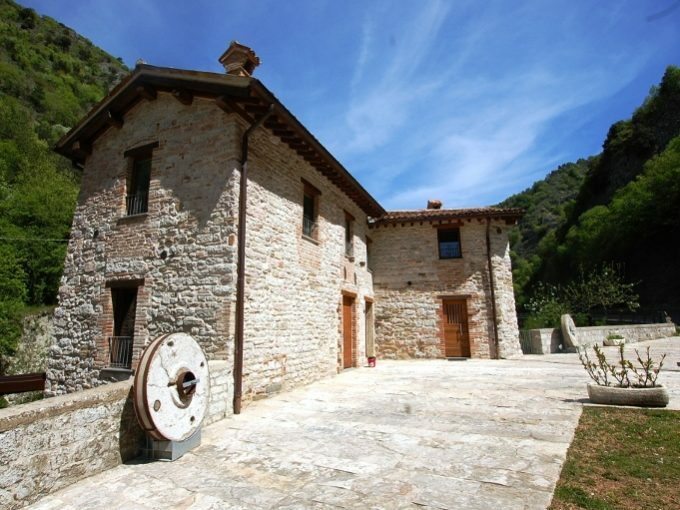 The building belonged administratively to the Villa of Santa Margherita del Condotto. 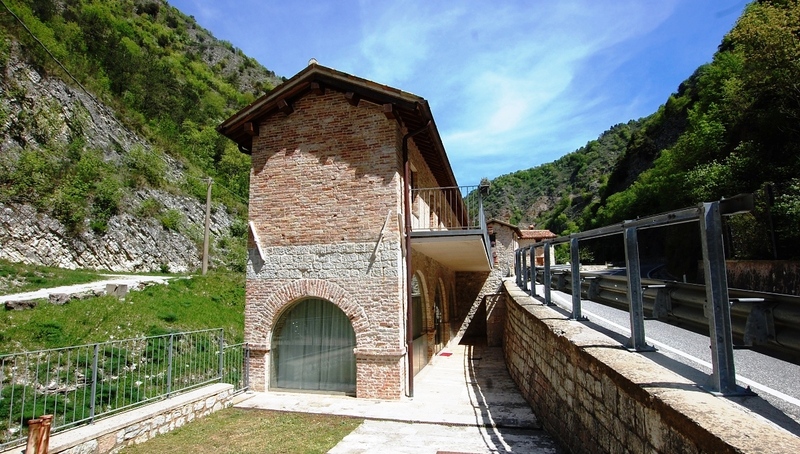 The mill was existing between 1759 and 1768: In 1700, as mentioned, the mill was owned by the Monastery of San Benedetto. The building was part of a “system of mills” along the Camignano torrent that supplied flours for the city of Gubbio. 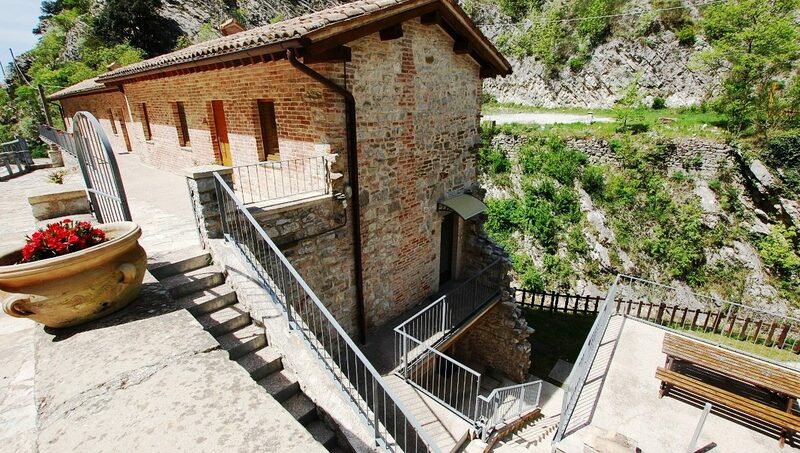 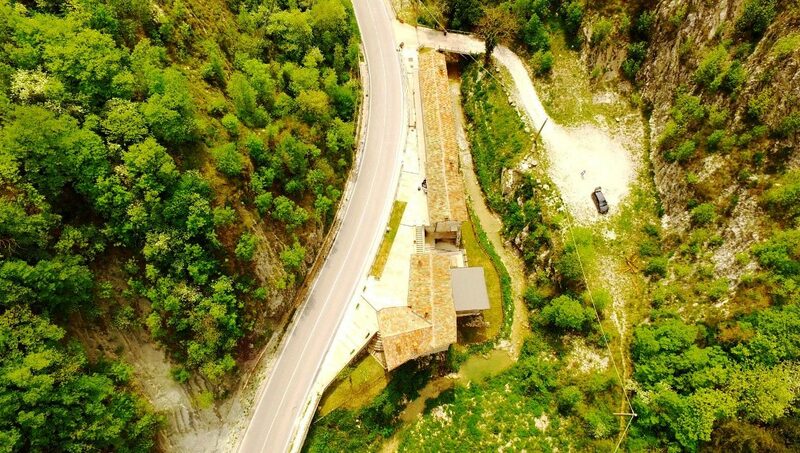 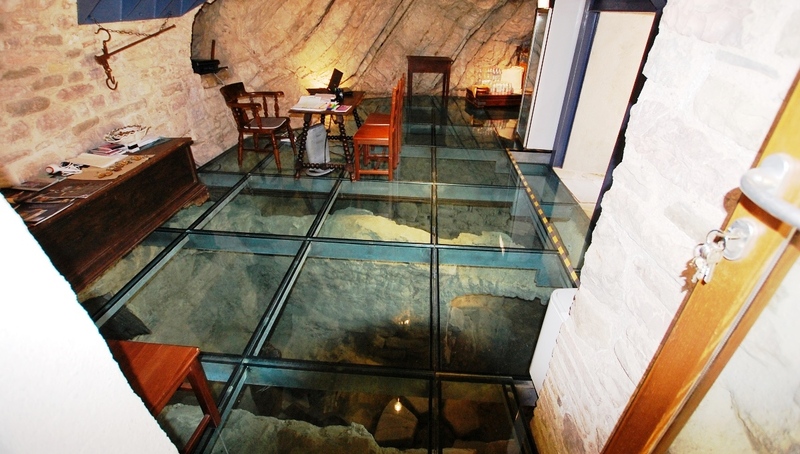 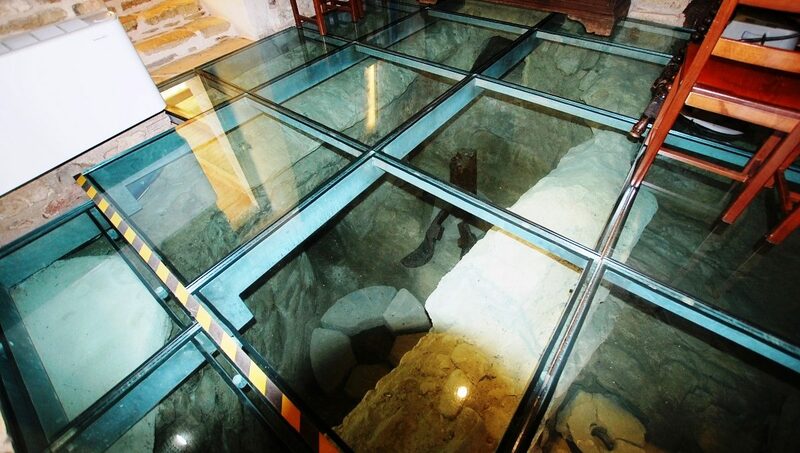 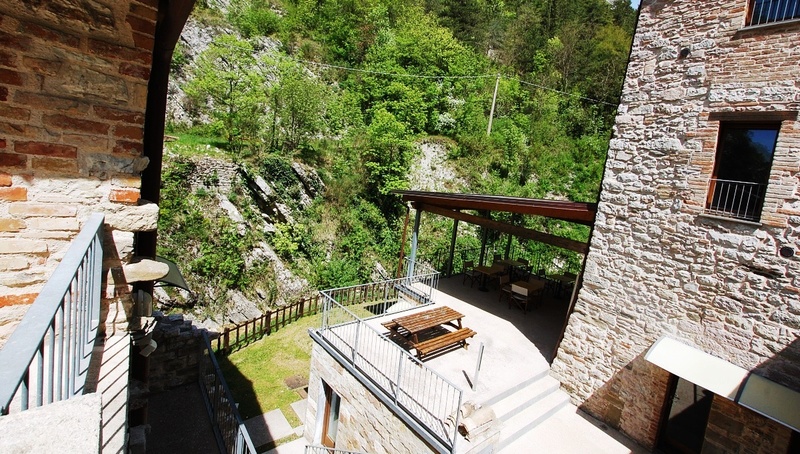 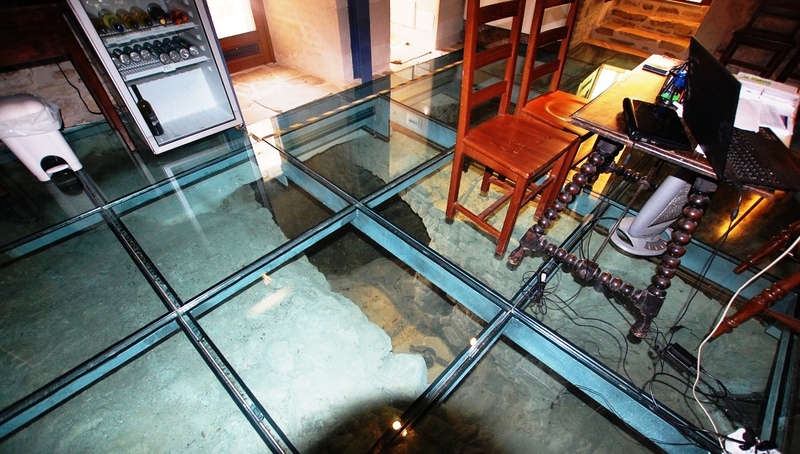 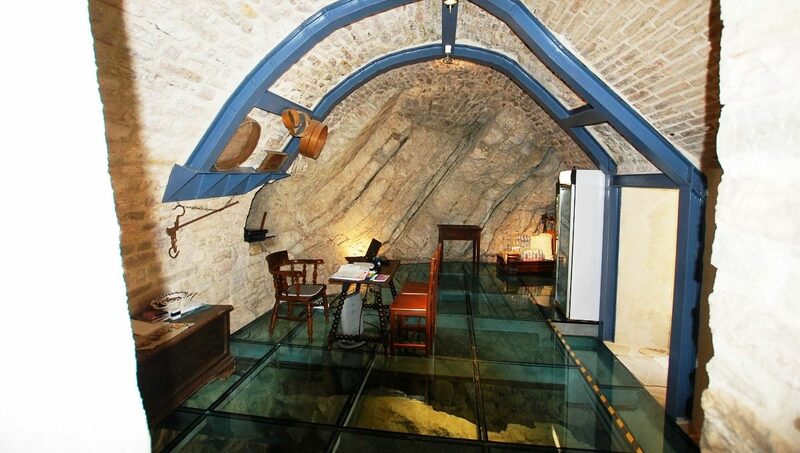 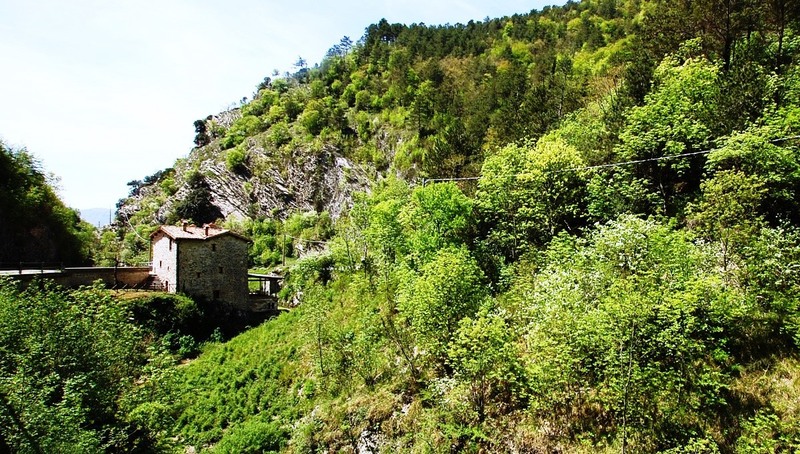 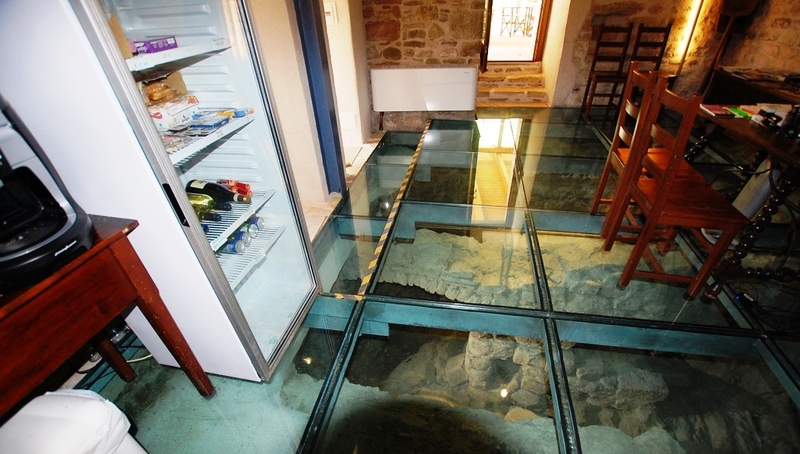 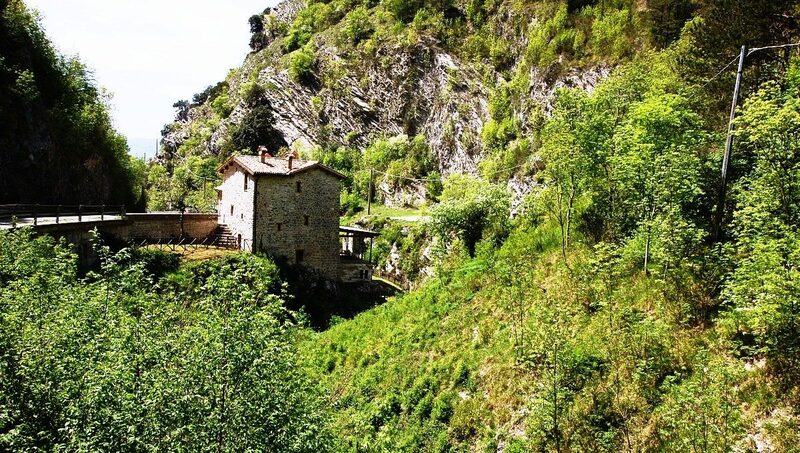 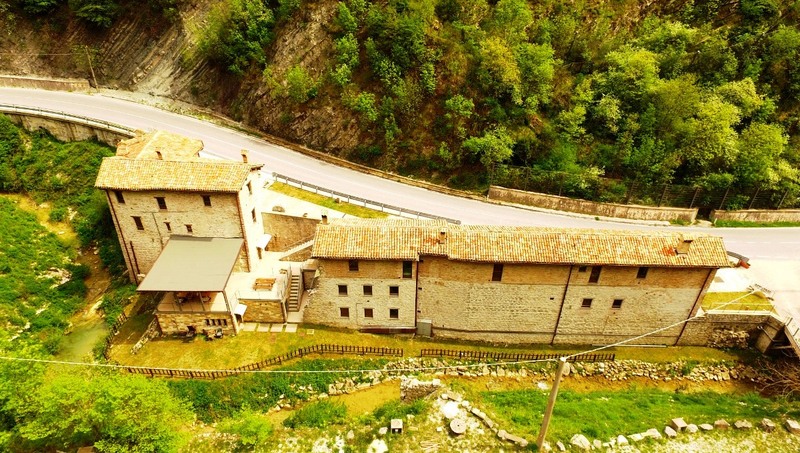 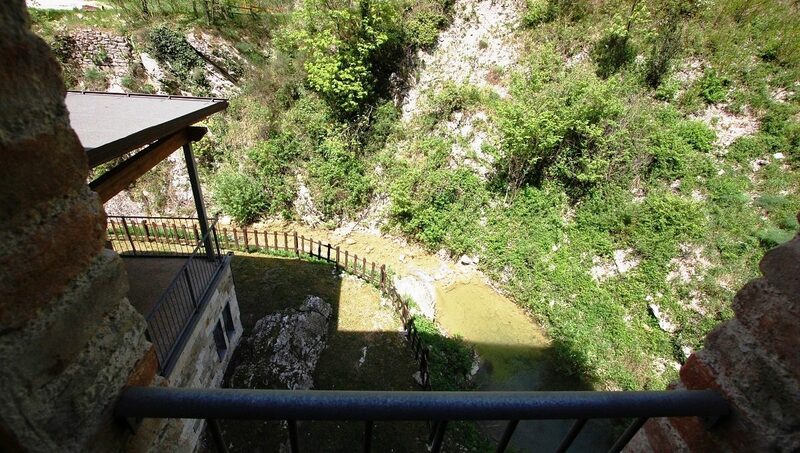 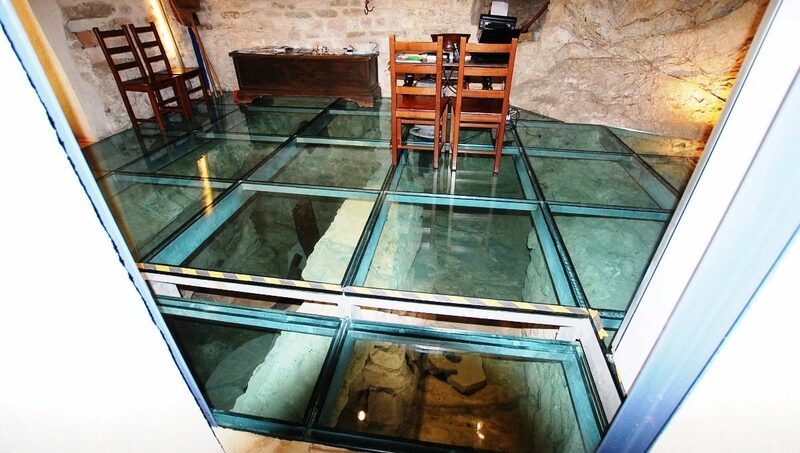 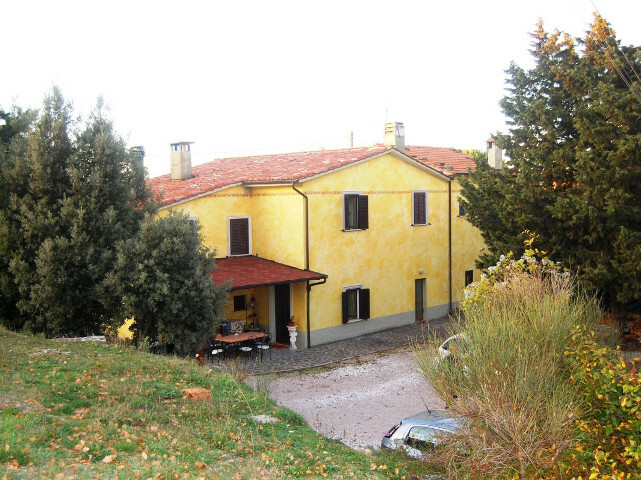 The mill is located in the heart of the geographic site of the throat of Bottaccione called “Archive of the earth” for the presence in the rocks of a stratigraphy that allows the study of a geological period between 140 and 30 million years ago. 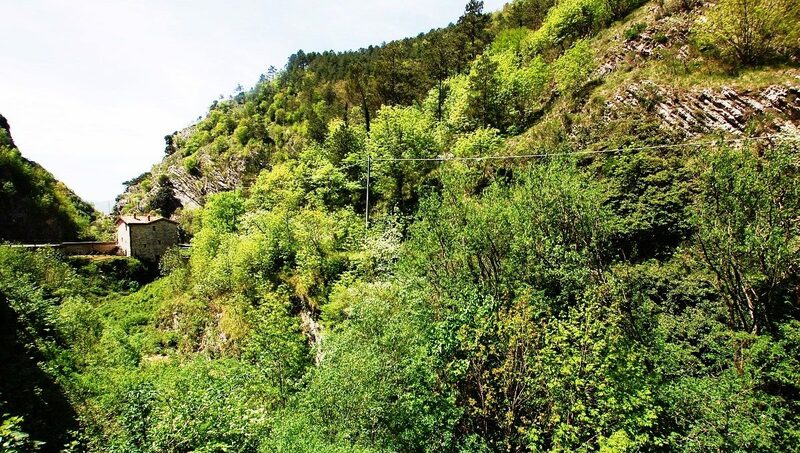 Precisely from this site, rich in iridium, science has developed one of the most elaborated theories related of the extinction of dinosaurs, 65 million years ago.